The purpose of this anthology of essays is to clear away the fog, the fuzz, and the enigma. Contributing authors to the volume include Jay Richards, co-author of The Privileged Planet: How Our Place in the Cosmos Is Designed for Discovery; Stephen Meyer, author of Signature in the Cell: DNA and the Evidence for Intelligent Design; William Dembski, author of The Design Revolution; Jonathan Witt, co-author of A Meaningful World: How the Arts and Sciences Reveal the Genius of Nature; Denyse O’Leary, author of By Design, or by Chance? ; and David Klinghoffer , author of Shattered Tablets. Dr. Jay Richards is a Senior Fellow at Discovery Institute and Director of Research for the Institute’s Center for Science and Culture. 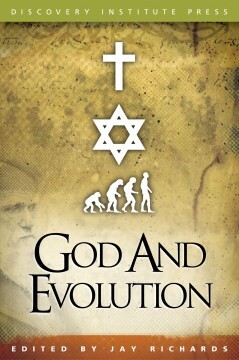 His previous books include The Privileged Planet; Money, Greed, and God; The Untamed God; and Are We Spiritual Machines? Dr. Richards holds a Ph.D. (with honors) in philosophy and theology from Princeton Theological Seminary. His work has been covered in publications such as The New York Times, The Washington Post, and The Wall Street Journal; and he has appeared on many national radio and TV programs.